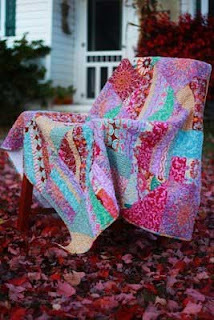 McCalls Quilting website has a great list of free quilt block patterns. The directions are nicely done and easy to follow. I have ran my printer out of ink printing some that I just might need one day. I made a binder with all the different quilt things that 'I just might need someday' and it is getting quite full! After visiting their site for a few minutes I realized that I needed a subscription, of course. 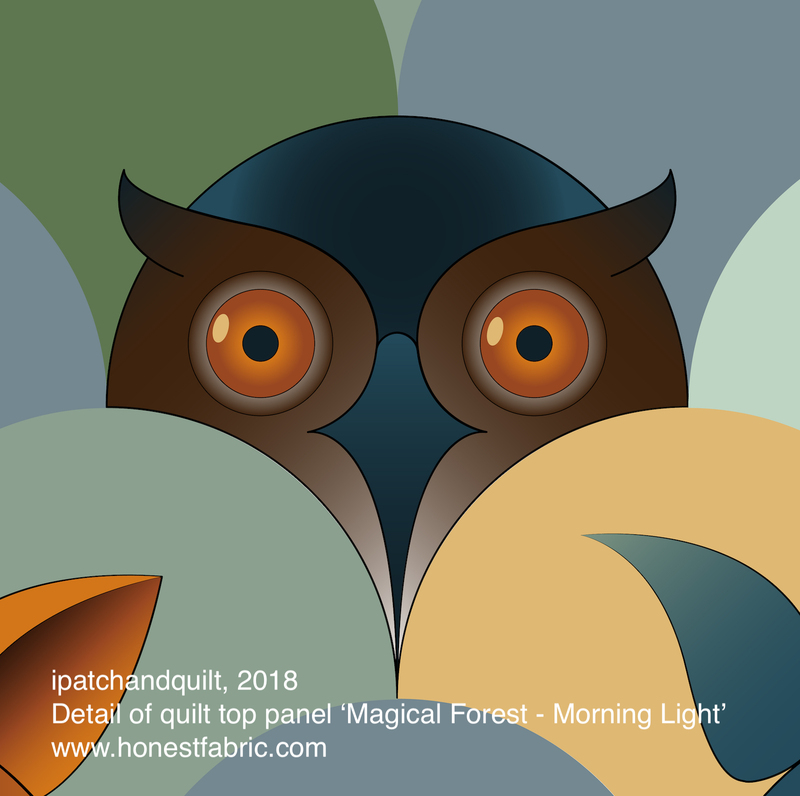 Happy Quilting (or whatever makes your day)! Dana at Old Red Barn is having a quilt give away. She is giving away 3 quilts and the picture above is just a sample of one, they are all just as beautiful. I would have a hard time parting with any of them. If you would like a chance to win check out Old Red Barn's Blog. She had over 1700 entries when I went there, but who knows, better chances than the lotto and the prize is beautiful. So take a chance! I liked them all and the fabrics are from new lines by terrific designers. 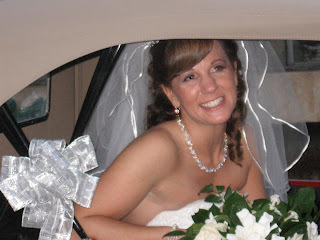 I was totally pampered at my sisters wedding this past weekend. We drove to Pasadena and stayed at the Marriott. Several members of my family were also there so we had a little bit of a reunion and were able to spend several days together 'making memories' (as my brother put it). I really enjoyed this time together even with the stress that comes with wedding organizing. We found some great restaurants, went to 2 gardens, got a manicure and a pedicure with all the bridesmaids, and my hair done with the bride. Having my hands in the dirt much of the time I don't usually treat myself to manicures so this was a real treat and I loved every minute of it. I spent 4 days feeling pretty. Now I am trying to make the manicure last as long as I can. This wedding felt a little different to me on many levels and brought tears to my eyes a few times because it was so special. There was a definite emphasis on family and friends. The focus was not all about the bride and groom. It made me realize that they need us and we need each other. I have spent about the last 10 years trying to prove to myself that I can take care of myself without anyone else's help and now I see that depending on others a little is not a bad thing, but can bring us all a little closer. It took a wedding to make a point! Everyone looked so nice and the wedding went off almost perfect. I made a few mistakes, but none too noticeable except when I almost gave the ring to the bride instead of the preacher...well, she put her hand out so I started to give it to her what can I say??? It got quickly remedied and we all had a laugh and a memory was made. Andy and Rob were ushers and Nathan was the ring bearer, though he quickly pointed out that there were no rings on the pillow...someone forgot to give him fake rings and didn't really trust him with the real thing, but he was adorable! Craig's family sang and played piano as part of the ceremony and other friends read scripture for one part. It was all beautifully choreographed. Congratulations Philina and Craig! Your wedding was an event that we will remember in our hearts forever. 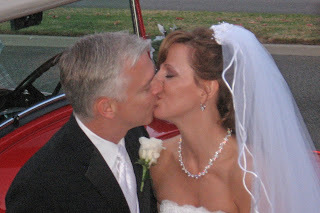 Philina you were a beautiful bride and your makeup looked great in all of our pictures! Now you can both relax and enjoy this life that you are creating together with your family and friends around to enjoy it with you. We all love you and were honored to have shared this special day with you. Thanks for including us! I will have to make another post about the Huntington Botanical Gardens. 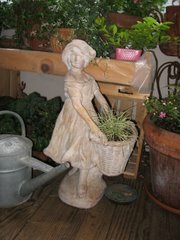 We loved it there and got about 100 pictures so I will have to post more of those on my garden blog. Now that this is all behind us and Christmas on its way (6 weeks), I hope I will be getting to some sewing soon and have things to post on this blog of a sewing nature soon! 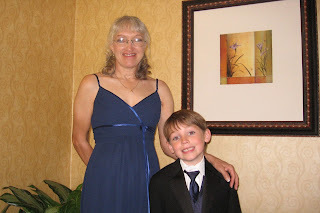 Here I am with Nathan getting ready to leave for the wedding. Fun was had by all!